while wintering in southern Europe and into Turkey. farms, parks, gardens and other shrubby areas. 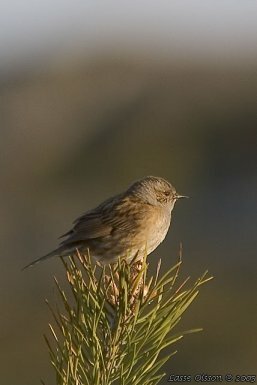 It feeds mainly on insects found primarily on the ground but also eats seeds in winter. and pointed though it has a wide, rounded base. 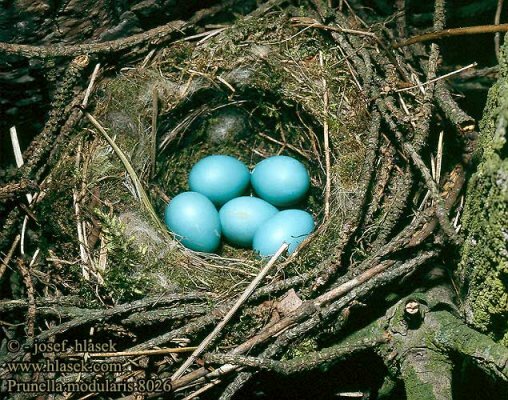 It builds a neat nest low in a bush or conifer, laying 3-5 unspotted blue eggs. but prefers to pick up food from the ground which has been dropped by other birds. It is a host of the Common Cuckoo. 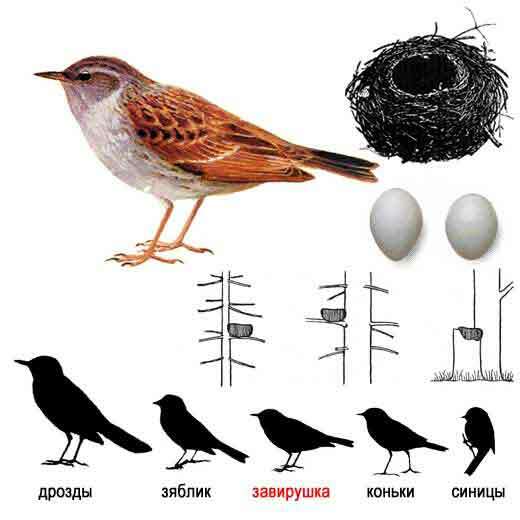 between eggs, and the Cuckoo has consequently evolved eggs that match those of its host. 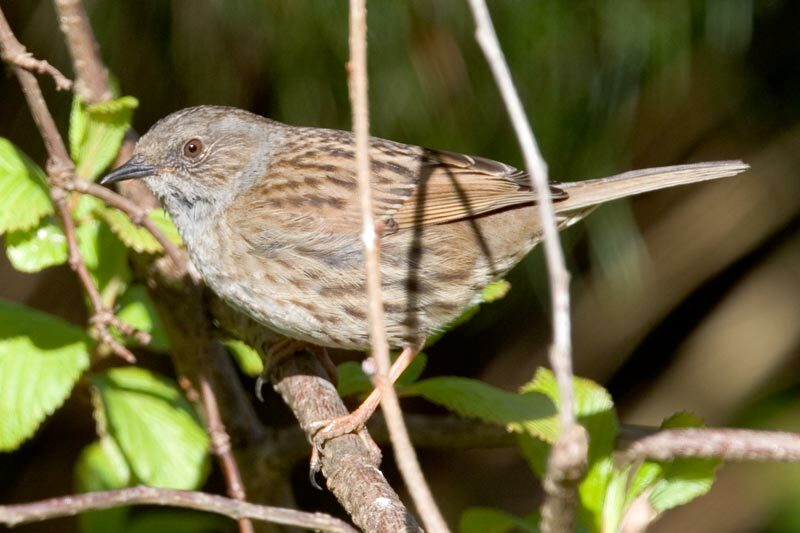 In the case of the Dunnock, there is no resemblance, yet the Cuckoo eggs are accepted. 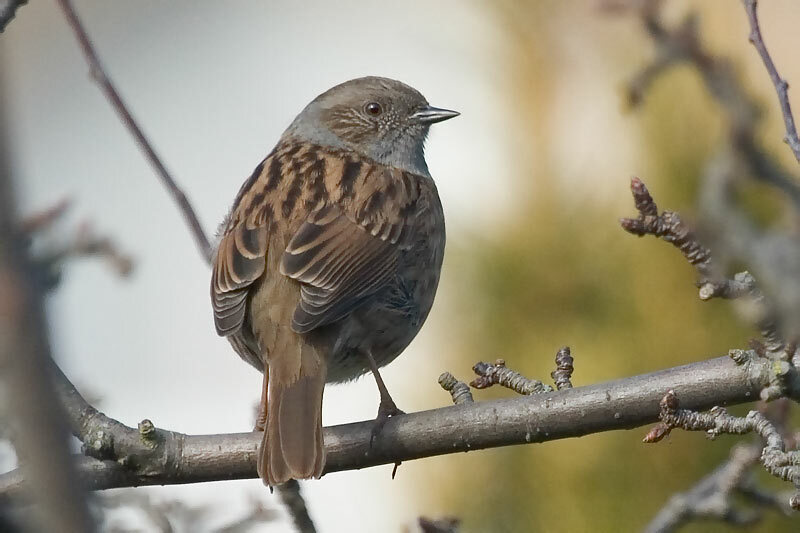 and somewhat resembling a small House Sparrow with its streaked back and general shape. It is also brownish underneath, and has a fine pointed bill. Adults have a grey head. The sexes are similarly coloured. This species makes up for its drab appearance with its breeding behaviour. and thus giving rise to sperm competition. 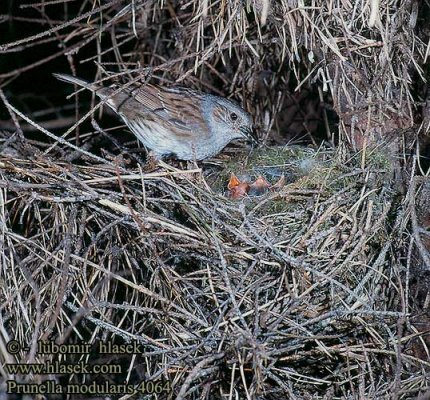 but DNA fingerprinting has shown that chicks within broods often have different fathers. the majority are monogamous, where one male and one female breed together.